The ability to use statements made by a juvenile during a custodial interrogation would be restricted under a bill heard Feb. 9 by the Judiciary Committee. Under LB930, sponsored by Lincoln Sen. Matt Hansen, such a statement would be admissible against a juvenile only if his or her parent, guardian or custodian was present during the interrogation—and if both were advised of the juvenile’s right to counsel and to remain silent and voluntarily waived those rights prior to questioning. An exception would be made for a statement, admission or confession that otherwise would be admissible under the public safety exception to Miranda v. Arizona. Hansen explained that a custodial interrogation is when someone is being questioned by law enforcement and reasonably without the ability to leave, even if they technically are not under arrest. Often, he said, juveniles are pulled out of school and undergo custodial interrogation without a parent’s knowledge or consent. Nebraska does not consider 18-year-olds to be adults under the law, he said, because their decision-making abilities are considered not fully formed. “If we as a state do not think that 18-year-olds are able to fully understand and able to consent to an apartment lease, why on earth do we think we could get them to waive their constitutional rights?” Hansen said. Amy Miller of ACLU of Nebraska supported the bill, saying that without legislative action, the courts have decided that children as young as 14 are capable of fully understanding the implications of waiving their Miranda rights. Yet science indicates that children lack the ability to do so, she said. “They simply lack both the real-world knowledge and the brain development,” Miller said, adding that Arkansas, Hawaii and Missouri already provide the kind of protections outlined for juveniles in LB930. Juliet Summers of Voices for Children in Nebraska also testified in support, saying the bill would provide age-appropriate protection for young people who come in contact with law enforcement. Research shows that juveniles are far more likely to offer false confessions during interrogations, she said, noting that 43 percent of juvenile exonerations involve false confessions, compared to 13 percent of adult exonerations. Sarpy County public defender Dennis Marks, testifying on behalf of the Nebraska Criminal Defense Attorneys Association, said having a parent present would be a step toward better protecting the rights of juveniles during custodial interrogations. Law enforcement are specifically trained in how to obtain information and confessions, he said, and are legally able to lie in an effort to do so. In addition, he said, parents often don’t realize that their children can be interrogated without their knowledge or consent. 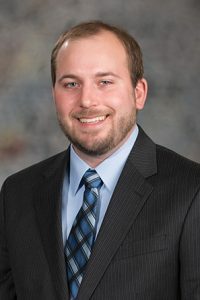 Corey O’Brien, speaking on behalf of the Nebraska attorney general’s office and the Nebraska County Attorneys Association, said the courts should regulate how the Miranda warning is administered. Testifying against the bill, O’Brien said Nebraska courts already have determined that juveniles must receive age-appropriate advisement of their rights. In addition, he said, there are times when a parent is the victim of the juvenile in a custodial interrogation or is placing pressure on a child to cooperate with police when the child does not wish to do so. “It is our opinion that it is the constitutional right of the child, and not of the parent,” O’Brien said. The committee took no immediate action on LB930.